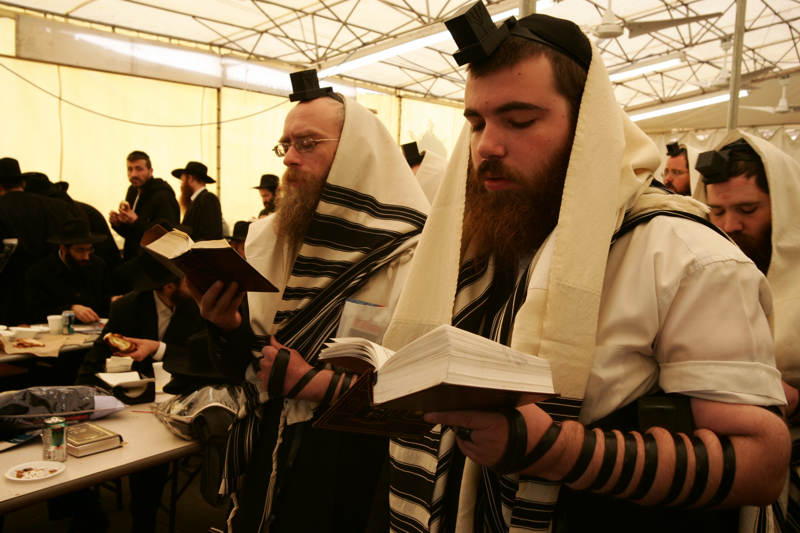 You do not have to be a Hassidic Jew to be a Zaddiq. You do not have to be traditionally religious to be pious. Piety means that you live day-to-day and physically act with a connection to Judaism. It means that you maintain vivid moods and motivations in accord with a faith in the Torah. Piety means that you transform everyday activities, decisions, and attitudes. It means that you give them special significance. And where does that come from? 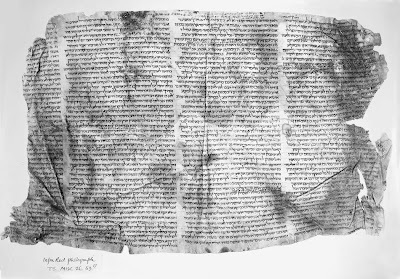 It can come from the historical, mystical, and redemptive beliefs of Judaism. When you live with piety, you create and perform new practices based on your faith. Your motives and goals as a pious person are to enhance every day of your life. To bring you sanctification, qedushah. To bring you more awe, love, or fear of God. To allow you to submit to a higher power and create a sense of creatureliness. To guarantee you an entry to paradise in the "World to Come" (for those who believe in the afterlife or heaven). To bring for all in your world some form of redemption. And, on a most basic level, you may believe that piety also brings you some material gain. We usually call piety mitzvah when it is an obligation and commandment within Judaism binding on an entire community of faith. We call piety custom or minhag when it is more limited in time and place and less authoritative. Most often this distinction goes unrecognized in your life as a pious Jew. The ultimate yardstick of piety is the Zaddiq -- the righteous saint. He or she adheres most closely to the norms of ultimate piety. The righteous saints are those who we would call purely ethical, those who flourish as proper humans, and those who achieve true virtue. Not many of us reach the ultimate in any part of our lives. We play golf, never expecting to become a Tiger Woods. We paint, do business, make love, for the fulfillment of each element of our lives. Yet we sometimes forsake religion because we think piety is out of our reach. Piety is there for all of us. The start of summer swim season is nigh. Today was cool at the TSC - about 70 in and out of the lap pool. A few of us braved the waters this weekend to inaugurate the outdoor lap season in Teaneck. With nice weather ahead, I look forward to swimming outdoors every day in Tenafly or Teaneck at the JCC or the TSC. And here are some of the other pools that I'd like to swim in...I've been to some of them...[reposted from 08]. Some like it hot. I do not. After a steamy day of going from museum to shop to cafe to hotel, I am in dire need of something big, cold and relaxing. No, not a beer. Well, OK, a beer would be nice, too. I'm talking about a pool. A hotel swimming pool. A beckoning oasis of deep, crisp blue. Over 10 years, I've dived and dipped into hundreds of Olympics, kidneys, minerals and infinities, from Bali to Baltimore. Most are fine but forgettable, so I cling to fond memories of laps gone by on my short list of classic dips. Come dive into the deep end of my list of favorite pools. You don't even have to shower before entering. The complaint says Mohamad Bazzi ordered halal pizza twice from the Dearborn, Mich., shop. The boxes were labeled "halal," but the pies inside were topped with regular pepperoni. "It's really upsetting," Moughni said. "My clients want the public to know. Especially during Ramadan, it would be a travesty if Muslims ... in Dearborn bought pizza from Little Caesars and discovered they were eating pork." 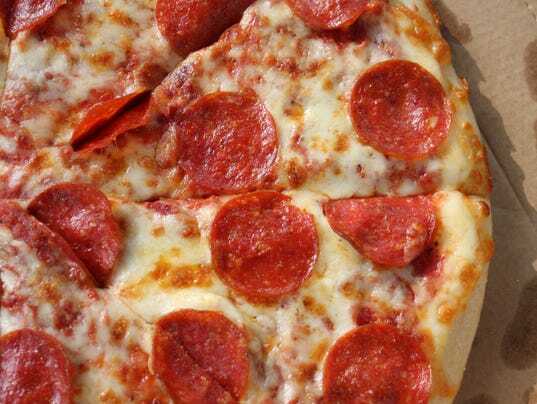 Jill Proctor, a spokeswoman for Little Caesars said in a statement that the company believes the claim "is without merit." Yes, Benoît Mandelbrot was a Jew. The Times obituary says he, "was born on Nov. 20, 1924, to a Lithuanian Jewish family in Warsaw. In 1936 his family fled the Nazis, first to Paris and then to the south of France..." Wikipedia says that in France, "He was helped by Rabbi David Feuerwerker, the Rabbi of Brive-la-Gaillarde, to continue his studies." Mandelbrot is the Yiddish word for almond bread, the Jewish biscotti. 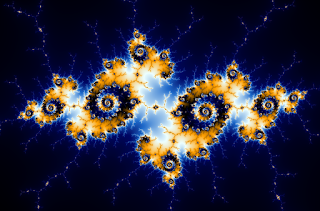 The Times says, "Dr. Mandelbrot coined the term 'fractal' to refer to a new class of mathematical shapes whose uneven contours could mimic the irregularities found in nature." Mandelbrot's discoveries profoundly influenced mathematics and the sciences and numerous disciplines beyond. No Stephen Colbert is not a Jew. Stephen Colbert, the political comedian made popular on "Comedy Central," will be taking over for David Letterman as the host of CBS’ "The Late Show" once Letterman retires. But Colbert is no ordinary host. The late night comedian built himself up as a satirical political opinion character who rarely shows a normal side. The New York Times published an article in January 2012 that looked at the many sides of Colbert, including his connection to God through what his mother taught him. Later in 2012, Colbert’s faith was brought up again by Splitsider, a news blog. Writer Marisa Carroll said Colbert is a devout Catholic, and when he spoke to 3,000 Fordham University students, it wasn’t the political commentator. Instead, it was a more religiously connected man. "Instead of his pompous 'Report' character, the man on stage Friday night was Colbert the Sunday school teacher, bringing to life a bit of personal history previously reserved for magazine profiles,” Carroll wrote. In more recent years, Colbert has let his religious side show through his jokes, according to The Los Angeles Times. No matter how side-splitting the jokes may be, or how in-character Colbert remains, the comedy host is still devoted to his religion and continues to follow his faith. My shul is like a multiplex theater. On Shabbat morning we have multiple minyans that start at different times in several locations throughout our building. This accommodates our diverse community of various ages and praying styles. Now, after a couple of years, a relatively new minyan of younger people got approval to move from its initial social hall location to one of the main sanctuaries. Ostensibly this move will be a trade. The minyan that now occupies the main space, mostly older people, will be relocated to our less desirable location. However, there is ambiguity in the move. Current occupants may opt to stay where they are, making this more of a merger than a trade. Here is my question. In preparing for the move, a spokesman at the younger minyan gave the timetable for the switch a few weeks before it was to take place. He added that all seating in the main location will become open and up for grabs. The older people will have no claim to a regular spot in the pews, he said. Among the uncertainties raised by this move, I was taken aback particularly by the insensitivity, perhaps the rudeness, of this declaration. Should we not absolutely respect the established seats of others? Am I right about this? What can I say or do to smooth all of this over? Wow, these seating and space issues sure do touch on a nerve. And yes, the younger spokesman missed picking up on the potential pitfalls because of the sensitivity people have about their accustomed seats in shul. Let’s consider why that is the case, why most people care about this topic, and why some people just do not get it. 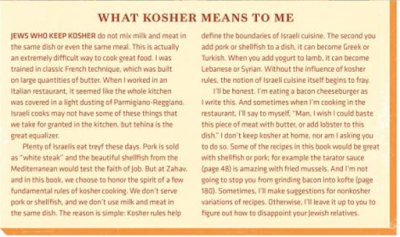 Is the Zahav Modern Israeli Cuisine Restaurant in Philly Kosher? 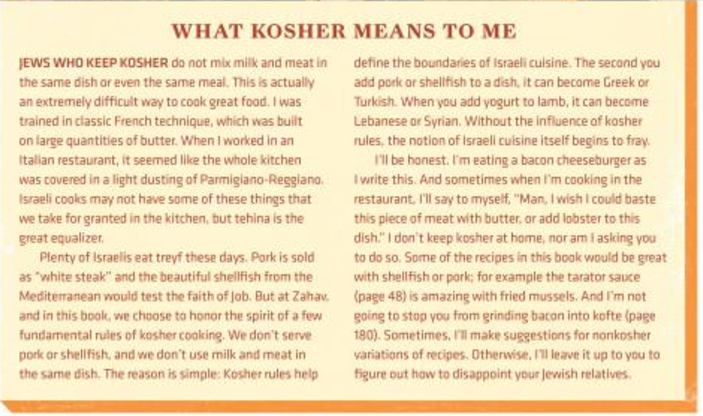 No, the Zahav Israeli restaurant in Philadelphia is a great restaurant, according to the world's best chefs - but it is not kosher. The place is recognized as special. And I found this in the chef's book's Amazon preview. Interesting.